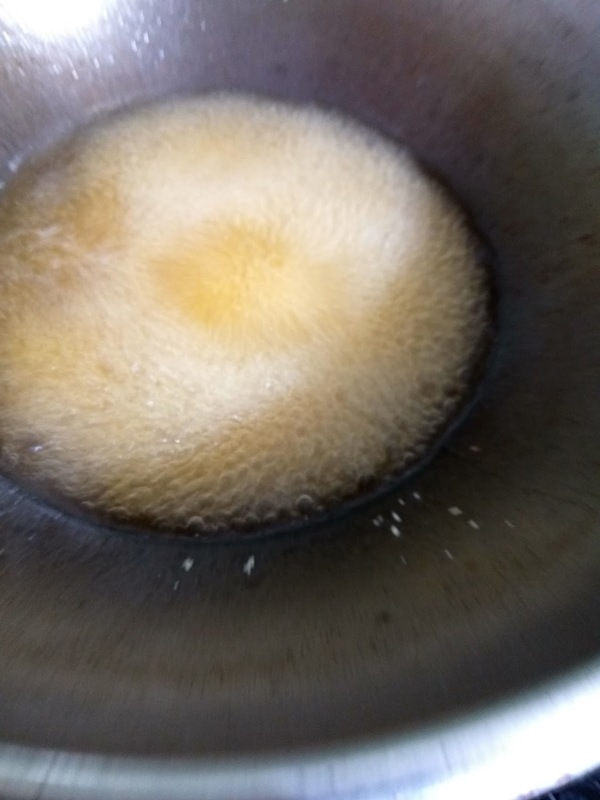 Heat the frying pan with one spoon of ghee over a low flame. 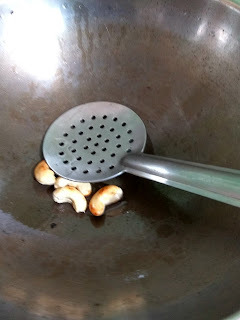 Add cashews and fry for a while until the cashews turn golden brown. 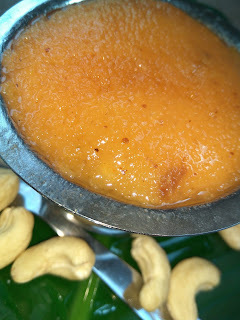 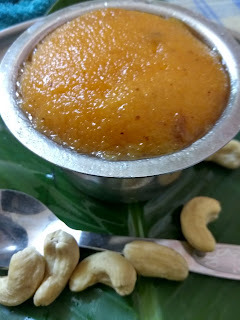 Take away the fried cashews and roast rava in the same ghee with the addition of half a spoon of ghee for a few seconds. 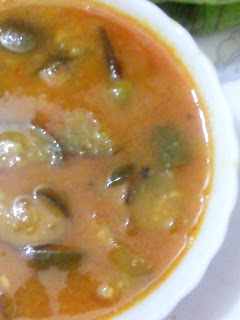 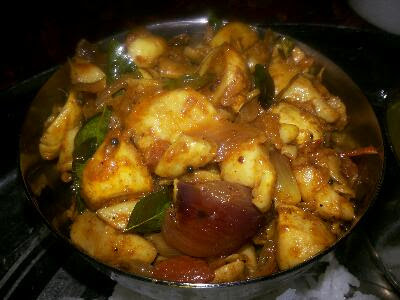 Heat the separate pan with one spoon of ghee, kaesar color powder and water up to boiling. 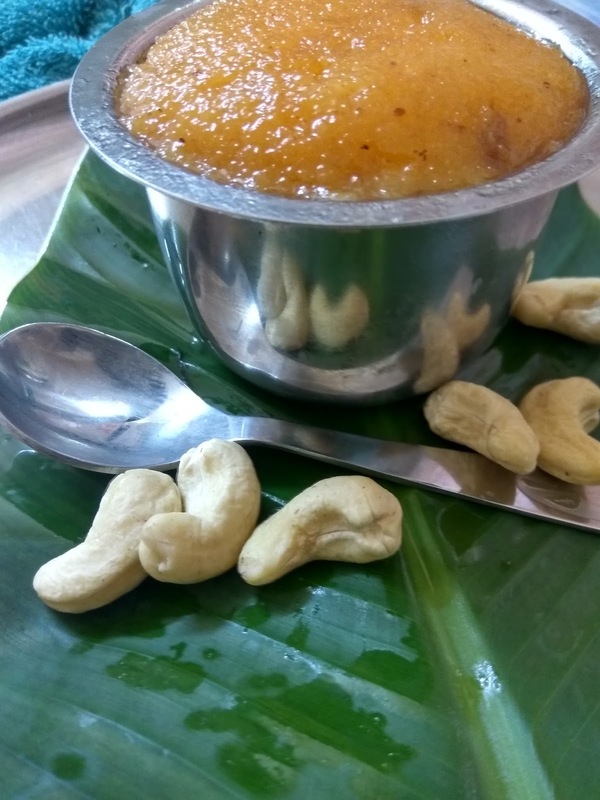 Add rava little by little to avoid lumps. 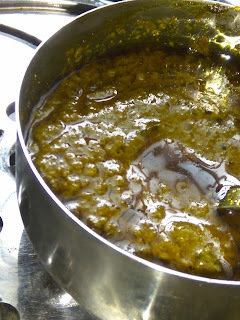 Allow cooking until the rava absorbed water and turned to a semi-mass consistency. 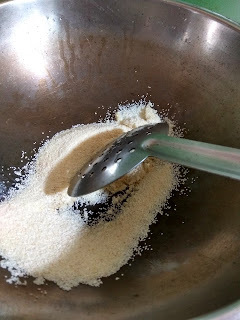 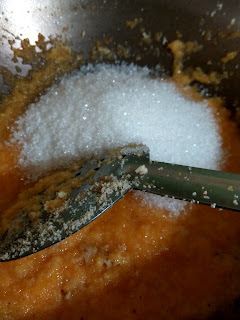 Transfer the almond powder, and sugar. Stir well until all the ingredients incorporated well. Stir well constantly to avoid burning at the bottom of the pan. 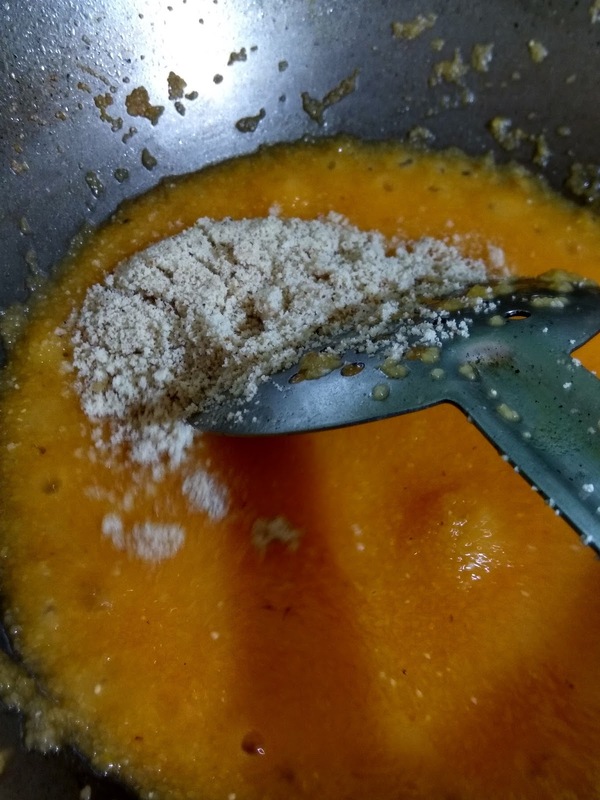 Add ghee little by little. 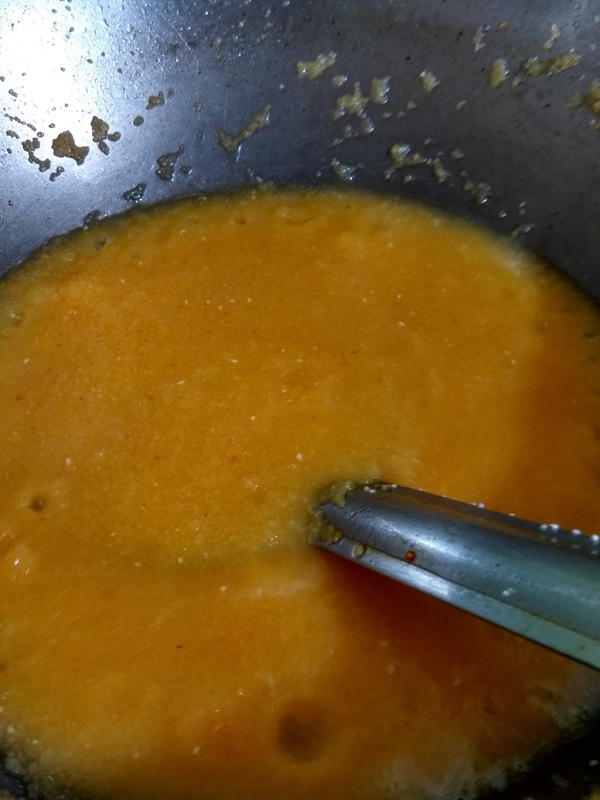 Stir well in low flame until the glossy consistency reached. 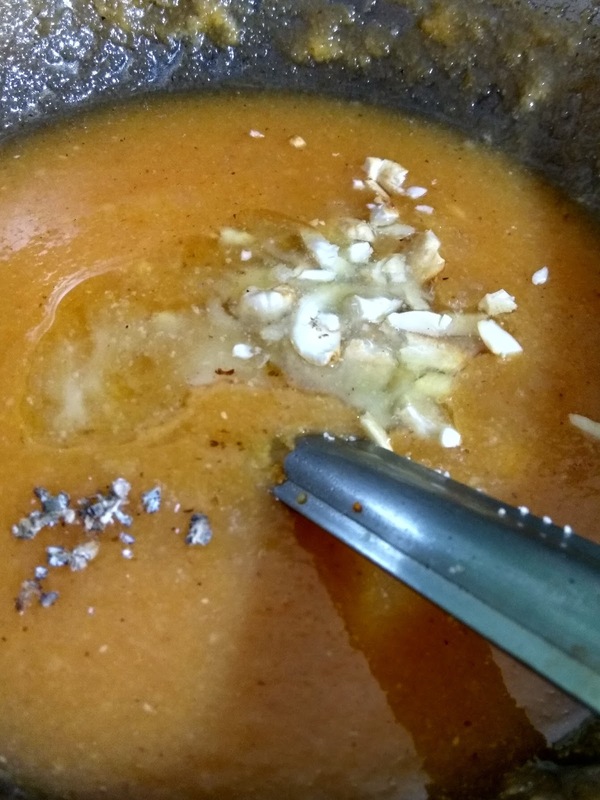 Remove from the flame and set aside to get warm temperature.